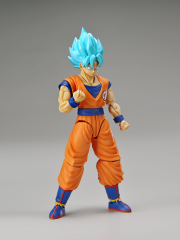 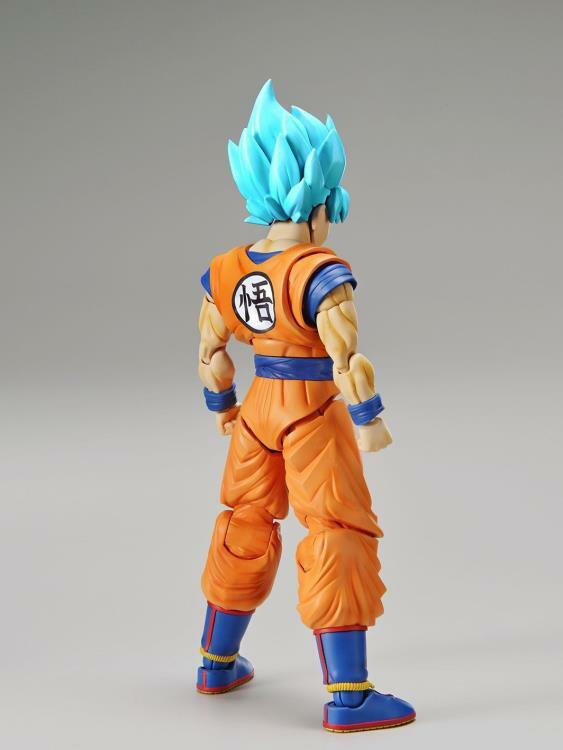 Super Saiyan God Super Saiyan Goku is joins the Figure-rise Standard line-up! This model kit is even more Super than Super Saiyan God Super Saiyan form... it isn't sold in Japan! 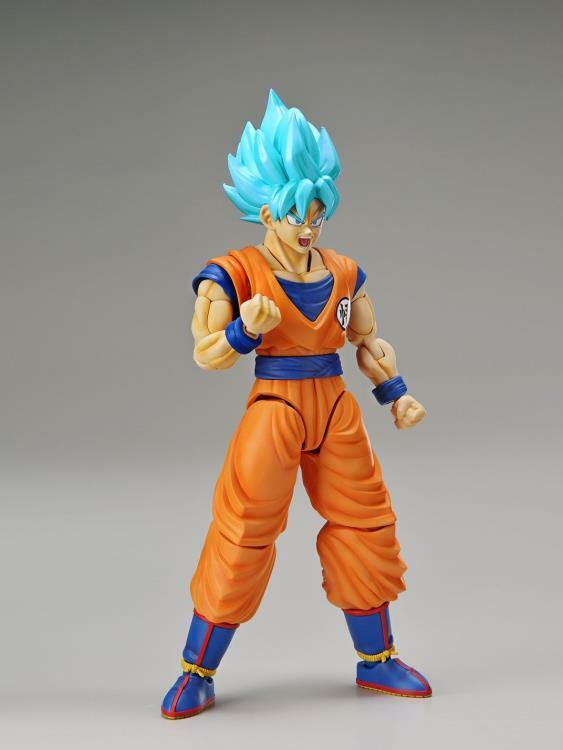 Goku's raised hair and fierce eyes take on a blue hue, same as the aura. 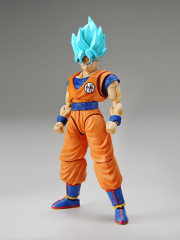 Use the brand-new Muscle Build-up System to showcase muscular power like never before. 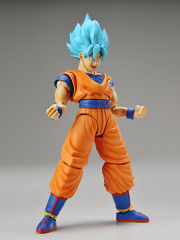 The eyes are made from 2 different colors for added depth and realism. 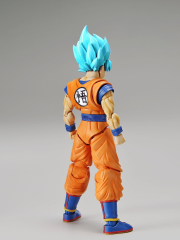 He comes with stickers for details such as the shoes and tongue! 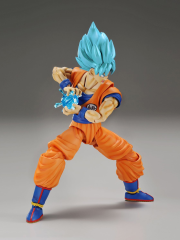 Adjust the moveable joints to recreate dynamic action poses! 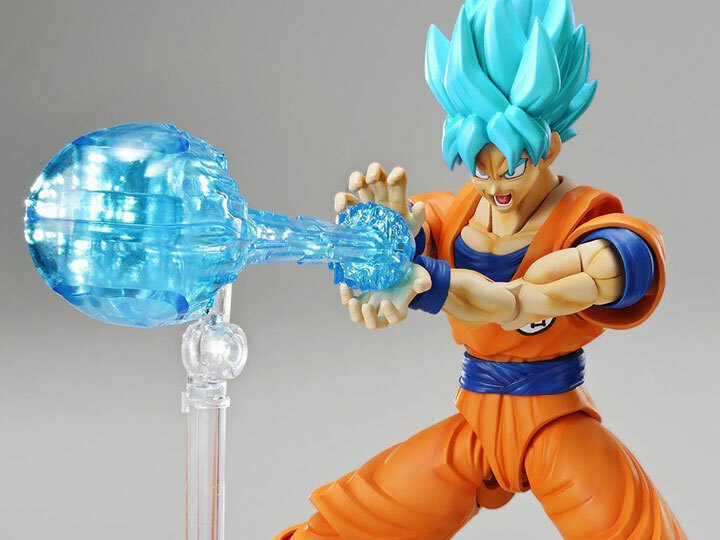 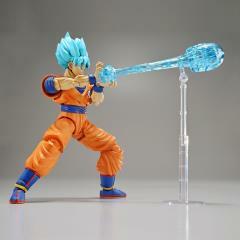 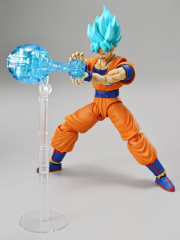 This set includes 3 sets of hands, 2 facial expressions, 2 different Kamehameha effects, and an effect part display stand.